The Higgs effective potential in the Standard Model (SM), calculated perturbatively, generically suffers from infrared (IR) divergences when the (field-dependent) tree-level mass of the Goldstone bosons goes to zero. Such divergences can affect both the potential and its first derivative and become worse with increasing loop order. In this paper we show that these IR divergences are spurious, we perform a simple resummation of all IR-problematic terms known (up to three loops) and explain how to extend the resummation to cure all such divergences to any order. The method is of general applicability and would work in scenarios other than the SM. Our discussion has some bearing on a scenario recently proposed as a mechanism for gauge mediation of scale breaking in the ultraviolet, in which it is claimed that the low-energy Higgs potential is non-standard. 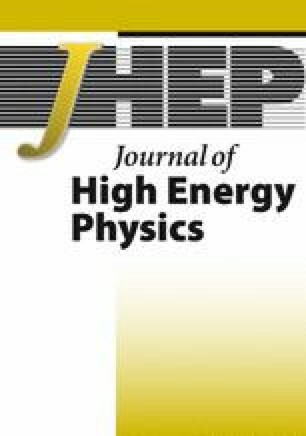 We argue that all non-decoupling effects from the heavy sector can be absorbed in the renormalization of low-energy parameters leading to a SM-like effective theory. CMS collaboration, Combination of Standard Model Higgs boson searches and measurements of the properties of the new boson with a mass near 125 GeV, CMS-PAS-HIG-13-005, CERN, Geneva Switzerland (2013). C. Ford, I. Jack and D.R.T. Jones, The Standard Model effective potential at two loops, Nucl. Phys. B 387 (1992) 373 [Erratum ibid. B 504 (1997) 551] [hep-ph/0111190] [INSPIRE]. S. Abel and A. Mariotti, Novel Higgs potentials from gauge mediation of exact scale breaking, arXiv:1312.5335 [INSPIRE]. J.A. Casas, J.R. Espinosa, M. Quirós and A. Riotto, The lightest Higgs boson mass in the minimal supersymmetric Standard Model, Nucl. Phys. B 436 (1995) 3 [Erratum ibid. B 439 (1995) 466] [hep-ph/9407389] [INSPIRE]. G.C. Dorsch, S.J. Huber and J.M. No, Cosmological signatures of a UV-conformal Standard Model, arXiv:1403.5583 [INSPIRE]. S.P. Martin, Taming the Goldstone contributions to the effective potential, arXiv:1406.2355 [INSPIRE].